Awesome games! 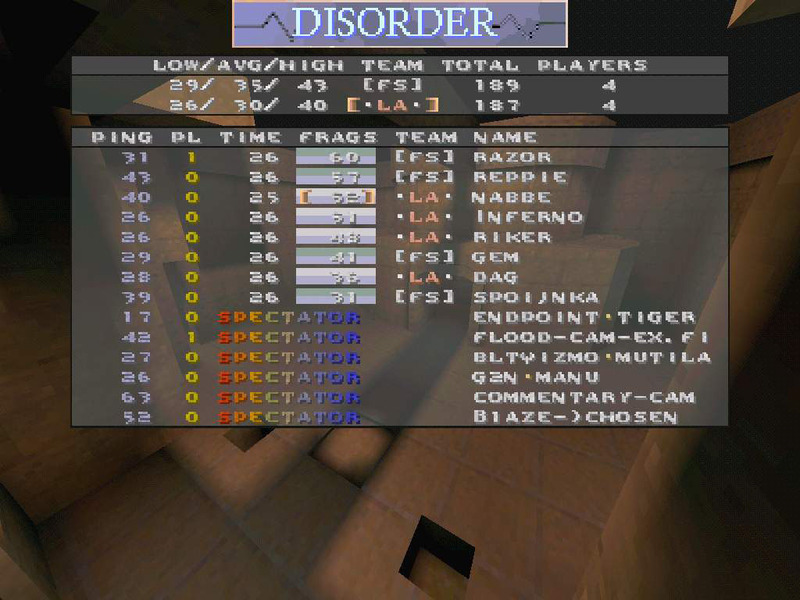 Dag proved that he still is a master of the game, especially on the first two maps. Along with the majority of the qw-community I had predicted Firing Squad to win, but it appeared as if they were not in top form. Good luck to both clans in future competitions! shiiit! 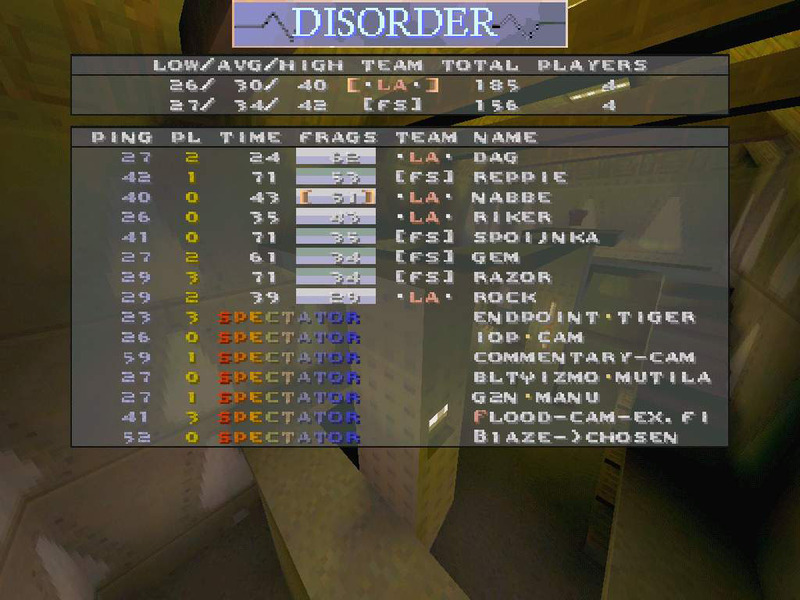 last dm3 felt good, lock was really good until pent-time as usual, dag owned us there, and map became 50-50 after that, and they just had the margins on their side, other maps i cant remember, its just a blur, well fun season overall , good bye!!! suicide now!! I must say that when it was time for E1M2 i really thought it was over for FS, so it was a very nice surprise that you put up such resistance. Last DM3 was a thriller and could've gone either way. Too bad we didn't get to see a decider. Congratulations to the EQL2 champions in LegeArtis! 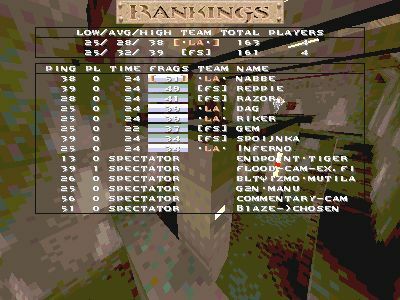 I counted specs before 3d map. 320 on qizmos. Some ppl spec this game through 3! qizmos :) becose all qizmo with cams was full. very nice games. LA is AWESOME. lol murdoc.. dumbs up to you as well :) seems like great games! gonna watch them all after eating a lot of food! 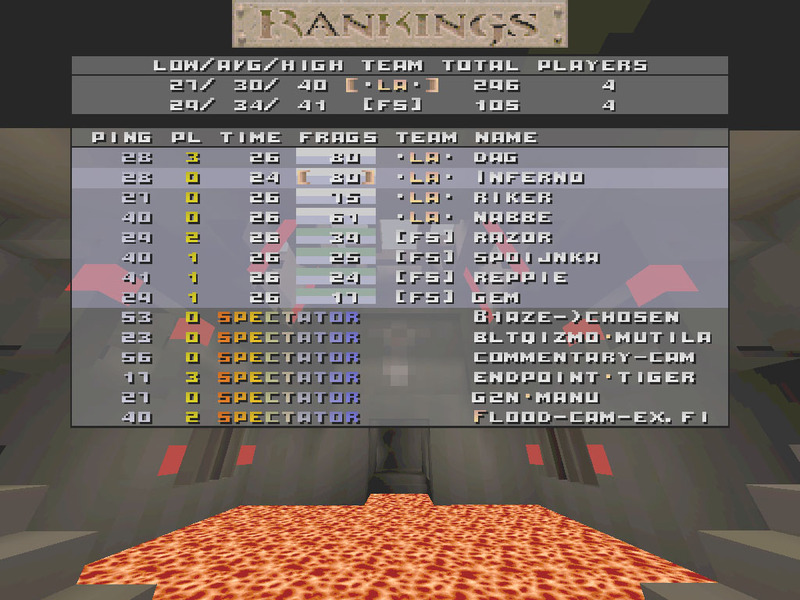 :E seems like spoinka wasn't as hot as vs tvs :< gg! haha mur :) as if!